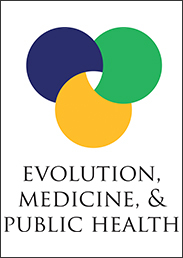 Evolution, Medicine, and Public Health is an open access journal that publishes original, rigorous applications of evolutionary science to issues in medicine and public health. It aims to connect evolutionary biology with the health sciences to produce insights that may reduce suffering and save lives. Because evolutionary biology is a basic science that reaches across many disciplines, this journal is open to contributions on a broad range of topics. Evolutionary biology is a basic science that reaches across many disciplines and as such, may provide numerous applications in the fields of medicine and public health. To further the evolutionary medicine landscape, we’re thrilled to welcome Dr. Charles Nunn of Duke University as the new Editor-in-Chief of Evolution, Medicine, and Public Health, the open access journal that aims to connect evolutionary biology with the health sciences to produce insights that may reduce suffering and save lives. 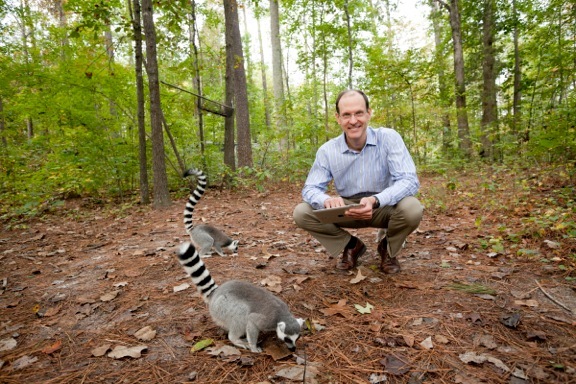 Dr. Nunn sat down with us recently to discuss his vision for EMPH’s future and his work in evolutionary medicine, including studies on the evolution of sleep and research in rural Madagascar. How and when did you get involved with Evolution, Medicine, and Public Health? I became involved in EMPH at its founding by serving on the Editorial Board, at the invitation of the first editor, Stephen Stearns. In addition, I think that I hold the honor of having the first research paper published in EMPH, or at least the first to be assigned a DOI. This was my research article with Natalie Cooper, “Identifying future zoonotic disease threats: Where are the gaps in our understanding of primate infectious diseases?” Since that time, I have become steadily more involved with the journal, and have published five articles of four different article types in EMPH. What led you to the field of evolutionary medicine? Immediately after my Ph.D. research, I began studying the ecology and evolution of infectious disease in a postdoc position with Drs. Janis Antonovics and John Gittleman. From the world of infectious disease, it was a natural progression to become more aware of evolutionary medicine, and I was heavily influenced by books such as Nesse and Williams’ Why we get sick. However, my real breakthrough into evolutionary medicine came when, as an associate professor at Harvard, I taught a course on Evolutionary Medicine with Prof. Peter Ellison. Co-teaching with Peter opened my eyes to many nuances of the field of evolutionary medicine. Importantly, we taught the course as a part of the General Education curriculum at Harvard. Our goal was to provide any student – from any major – a course that would introduce them to a new way of thinking about the evolutionary origins of health and disease: how and why has evolution made us susceptible to disease? I continue to believe that this is basic knowledge that all students should know, as we will all inevitably deal with many kinds of disease in our lives and those of our loved ones. I have moved to Duke University, but I continue to teach an entry-level course on evolutionary medicine, with no prerequisites. Describe what you think the journal will look like in 20 years and the type of articles it will publish. I hope that we will continue to build a community of scholars interested in clinical and basic research at the intersection of evolution, ecology, and health, including the health of non-human animals. I do think we are still at the beginning of a large and impactful research enterprise, with many exciting findings ahead, and ideally the application of those findings to both understand human health and to improve it. While it is interesting to publish commentaries that lay out new hypotheses and predictions, we need more research to test those predictions and, eventually, review articles and meta-analyses that synthesize the findings; hopefully the next 20 years will bring us closer to those systematic reviews and the stronger foundations they provide for policy and medical application. Of course, to move toward having real application, we need more engagement with researchers in medicine, public health, dentistry, nursing, and even veterinary medicine. I hope we will see more researchers from those fields publishing in EMPH in the next 20 years. We are working on it! What is the most important issue in the field right now? There are so many areas that are “hot” and important that it is hard to know where to start. Let’s start by considering what “important” means. If we judge importance by the impact on human lives, then research on the evolution of antimicrobial resistance should rank highly. This is a challenge that keeps me up at night, and with good reason, given the rapid evolution of resistance and the shortage of viable solutions. Similarly, cancer is an evolutionary process in the body; evolutionary approaches are crucial to understanding this process, and to coming up with solutions to treat cancer (including again, the evolution of resistance). Finally, I’d put in an argument for global health research. The lives of people around the world are changing radically. We need to better understand how those changes are affecting health, including unintended consequences. We need to consider, for example, whether and how similar changes in developed countries led to the growing epidemic of autoimmune diseases. How would you describe EMPH in three words? Photo of Dr. Charles Nunn, used with permission. Tell us about your work outside the journal. I research a wide range of topics, including the ecology and evolution of infectious disease, the evolution of sleep, and the application of phylogenetic methods to a wide range of questions in biology. Much of this research takes place in rural Madagascar, where I run a project that links global health, conservation biology, and evolutionary anthropology. We loosely call this project, “Shining evolutionary light on global health challenges,” and we investigate questions that include dental health, the skin microbiome, human sleep, and the emergence of infectious disease in the context of anthropogenic habitat change. We also conduct research on household air pollution in Madagascar, driven by cooking indoors with wood, and its influence on both deforestation and human health. In all of these projects, we consider human behavioral ecology, and also the societal factors that are leading to behavioral changes in these communities that impact health both positively and negatively. How do you think this journal influences research today in your field of study? Evolutionary anthropologists are actively engaging with evolutionary medicine. Many members of our editorial board come from evolutionary anthropology, and we have a solid collection of articles from this field – although far from exclusively, and we are working hard to maintain a breadth of areas in the EMPH portfolio. This interdisciplinarity is also characteristic of evolutionary anthropology. As such, I think the journal is having a strong impact on my field, and hope it will continue to do so, while also reaching out to many other fields. Featured image credit: The order of caos by Joel Filipe. CC0 Public Domain via Unsplash. Dr. Charles Nunn is a professor of evolutionary anthropology and global health at the Duke Global Health Institute, and the new Editor-in-Chief of Evolution, Medicine, and Public Health, where his introductory editorial "Progress and change" was recently published.